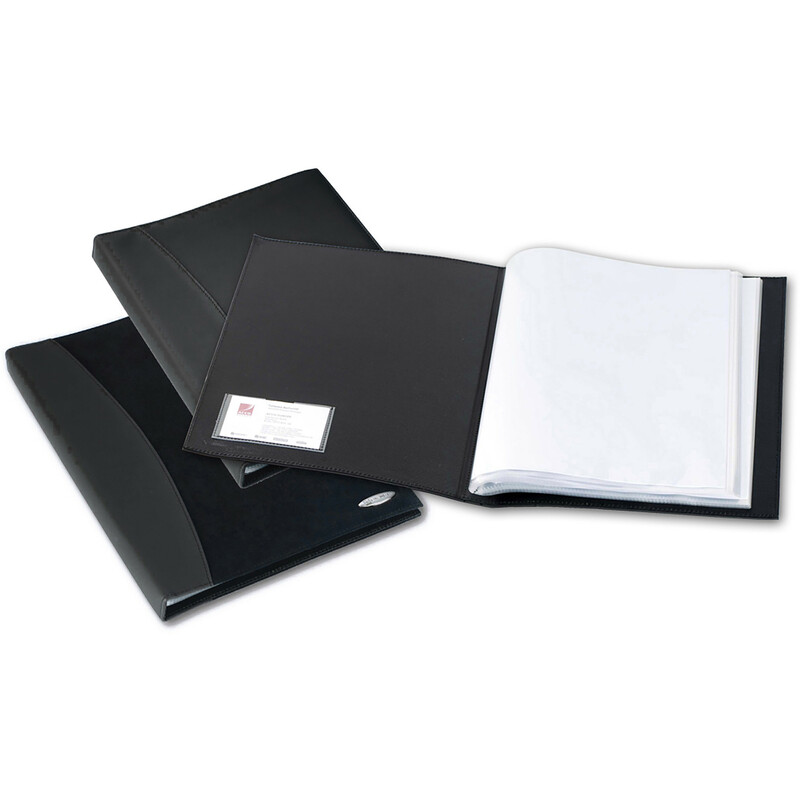 Elegant display book with soft-feel cushioned cover for a professional finish. Glass clear, high quality copy safe pockets ensure your documents are protected. Business card holder for instant personalisation.